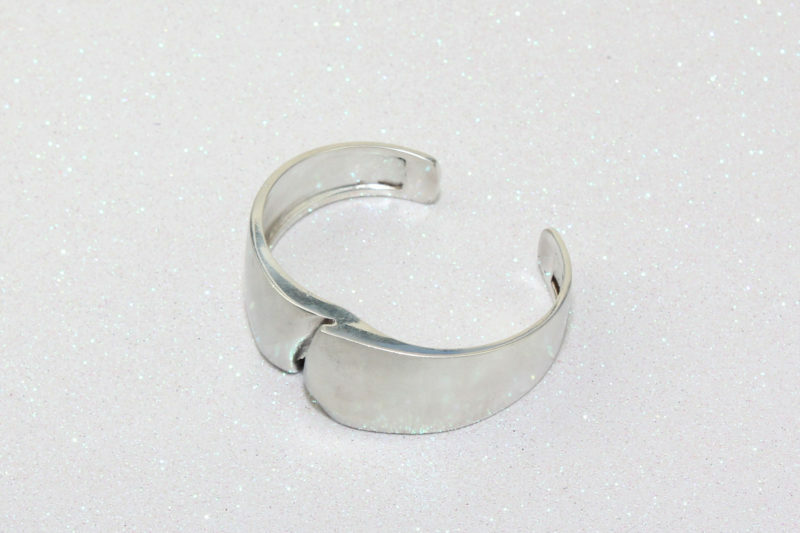 Today’s review features one of my favourite treasures in my Star Wars collection – the Lapponia ‘Darina’s’ bracelet. 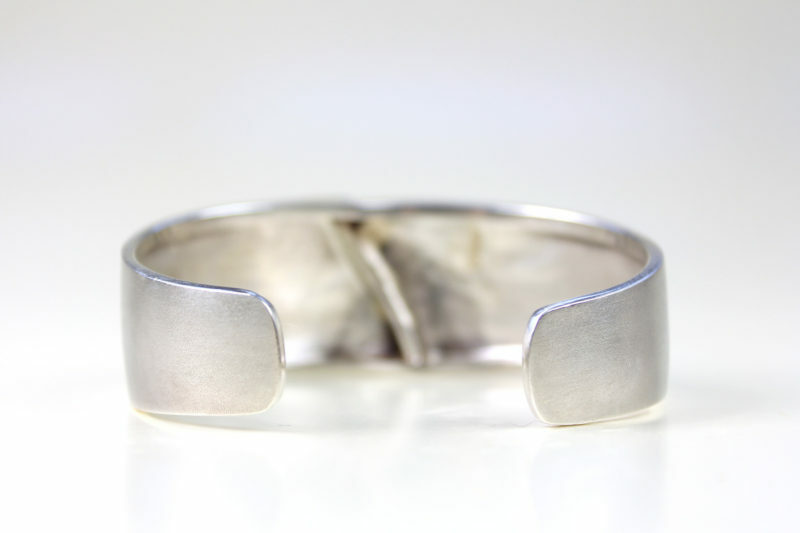 At first it may be a little hard to see the Star Wars connection, as the bracelet does not feature a Star Wars character or design. 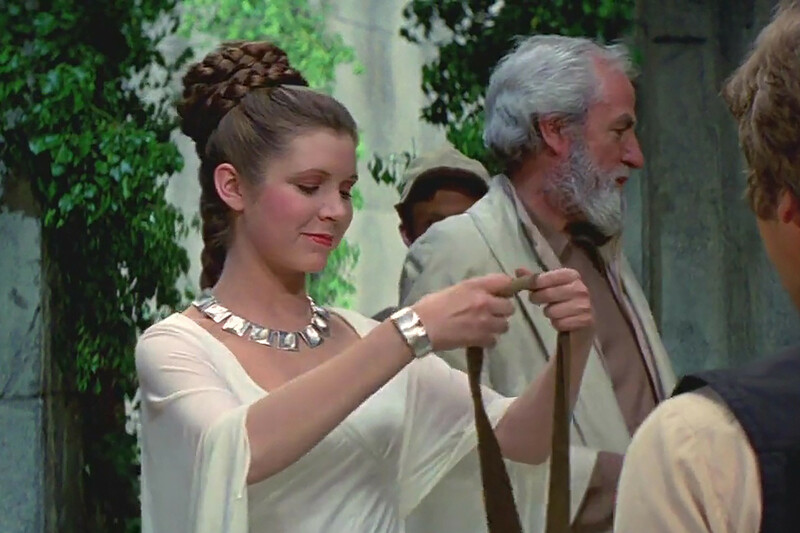 The bracelet isn’t a licensed item, but it has a very direct connection to Star Wars – this is the bracelet Princess Leia wears in the Yavin medal ceremony scene in A New Hope. 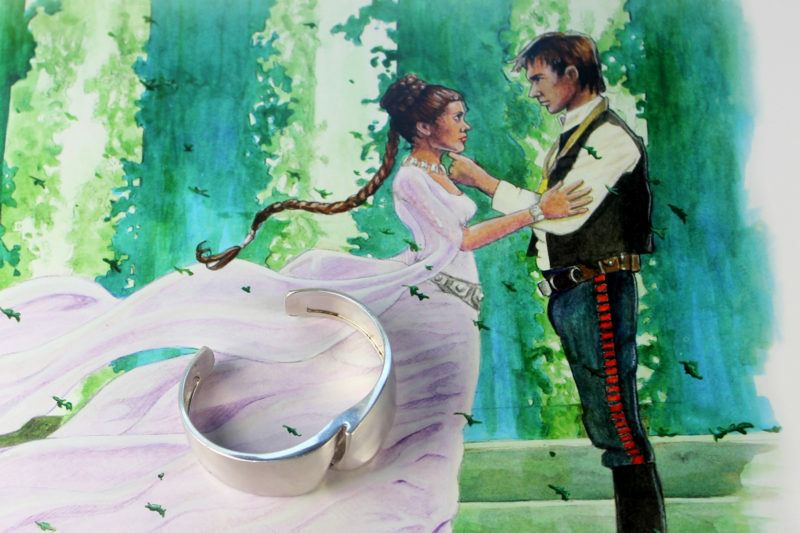 Well, I don’t own the actual bracelet worn by Carrie Fisher, but the exact same design. The bracelet can be a little hard to spot in the scene, but once you notice it, it’s as clear as day. 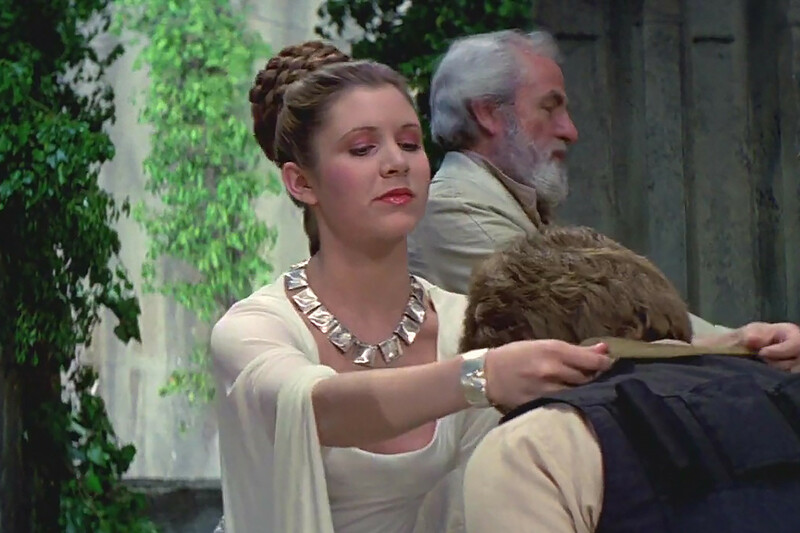 Most costumes and accessories in Star Wars were made for the films – but Princess Leia’s jewelry from the medal ceremony scene at the end of A New Hope was store bought, and used in the film unmodified. 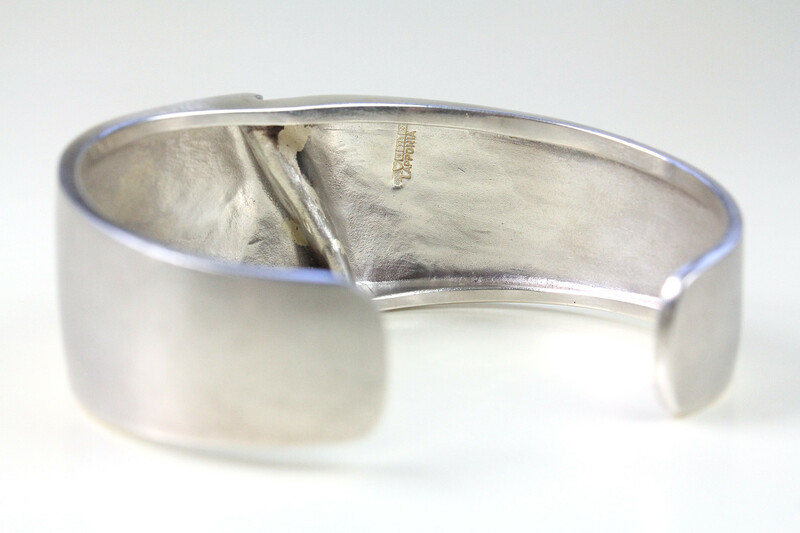 Carrie Fisher wore the ‘Darina’s’ bracelet and ‘Planetoid Valleys’ necklace, which were designed by Bjorn Weckstrom for Lapponia in Finland. George Lucas had initially contacted Bjorn to design a necklace specifically for the film, but due to a change in schedule, the production team needed the jewelry sooner than expected. 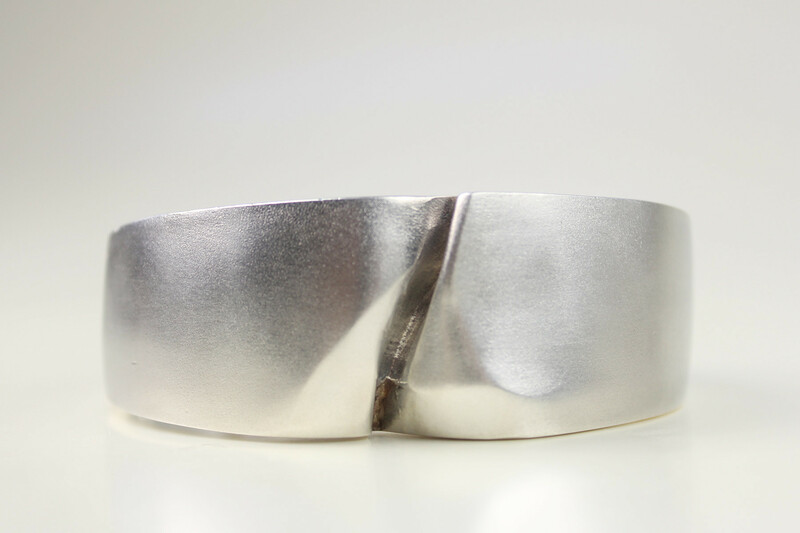 As the new design was unable to be completed in time, existing Lapponia jewelry was purchased from a London retailer – though the intended necklace design ‘Poema’ was eventually manufactured as a limited release in the 1990’s. 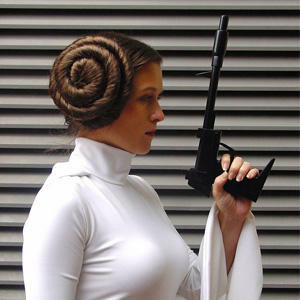 The necklace is of course very well known and recognised as Princess Leia’s necklace, but its large size doesn’t quite lend itself to everyday wear. 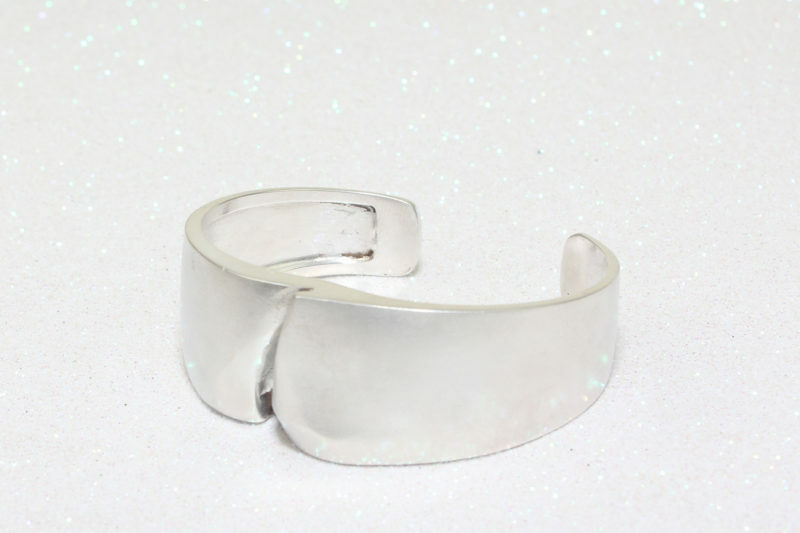 The smaller, more affordable bracelet is the perhaps ultimate subtle Star Wars jewelry item – less dramatic, and you know the Star Wars connection, but to everyone else it is a wonderful abstract silver bracelet. 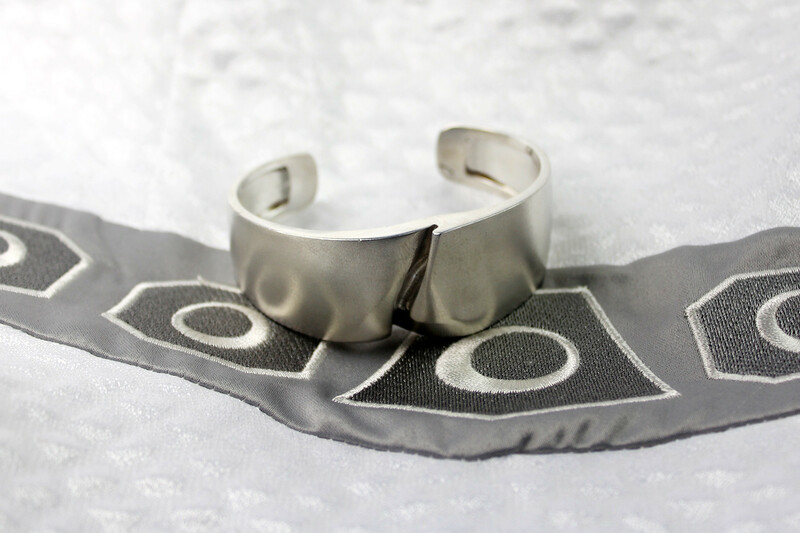 Due to their popularity, both the bracelet and necklace are now available once again after originally being discontinued. 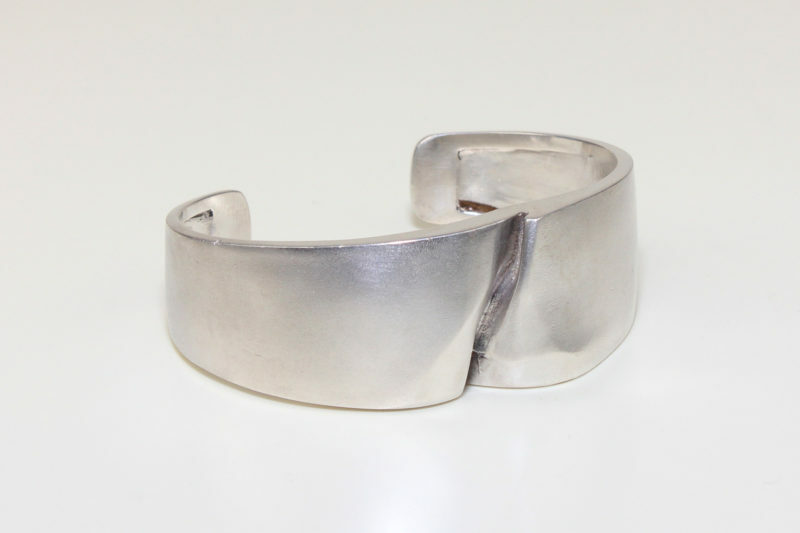 In 2013 I contacted a stockist to enquire about the pricing for a new bracelet – I was quoted US$960.00 for the standard length, US$1047.00 for special order length. 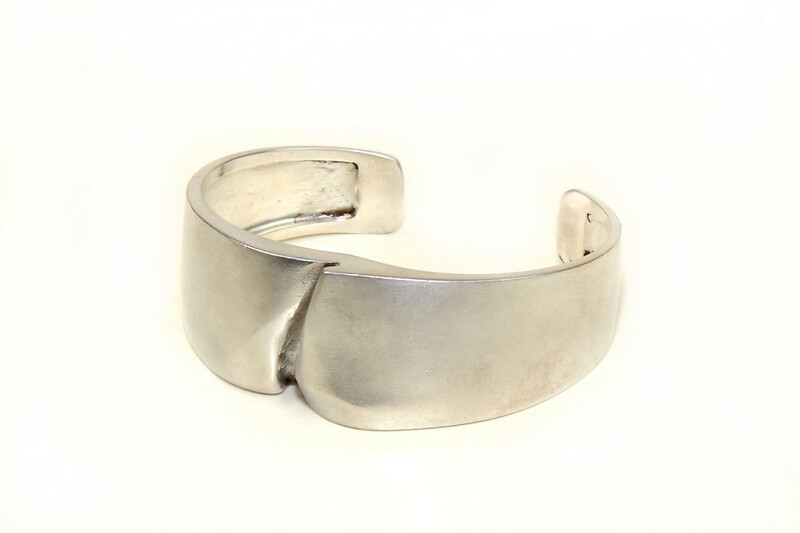 As buying new was a little out of my price range, I eventually found an original 1977 era bracelet on eBay – they can usually be found in the US$250 to $500 price range, depending on condition. In the time since I bought my bracelet, Lapponia has updated their website to include direct ordering. The bracelet is priced at €625.00 each, which is approximately US$696.46 at time of writing (though this value may incur additional customs/duty fees, depending on your country). 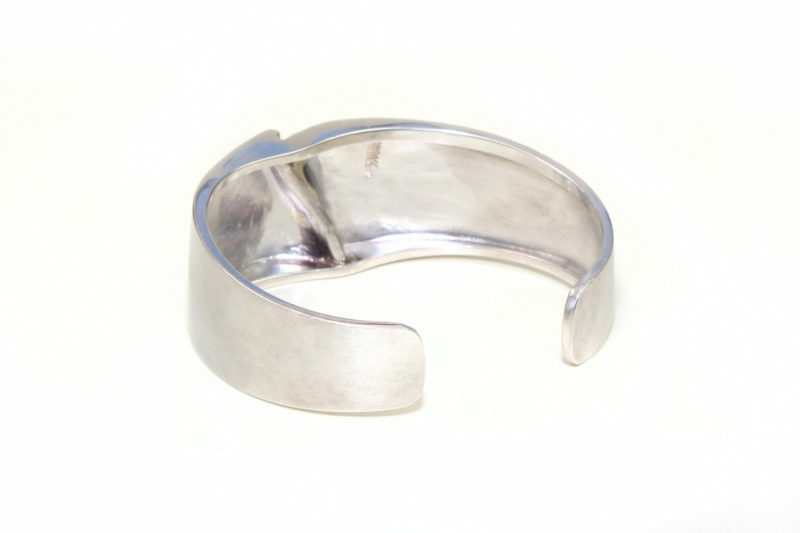 The ‘Darina’s’ bracelet is made from solid 925 sterling silver, crafted in an open bangle style. 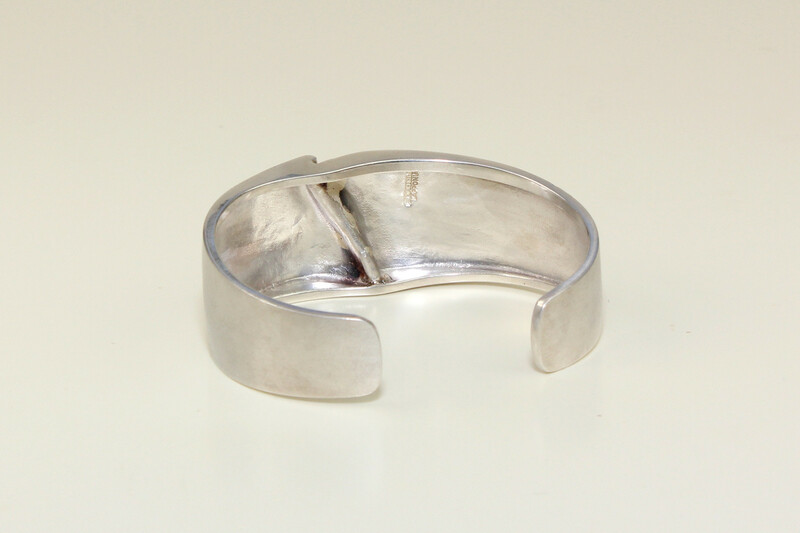 The bracelet features an interesting inset shape in the front, which is hard to describe. 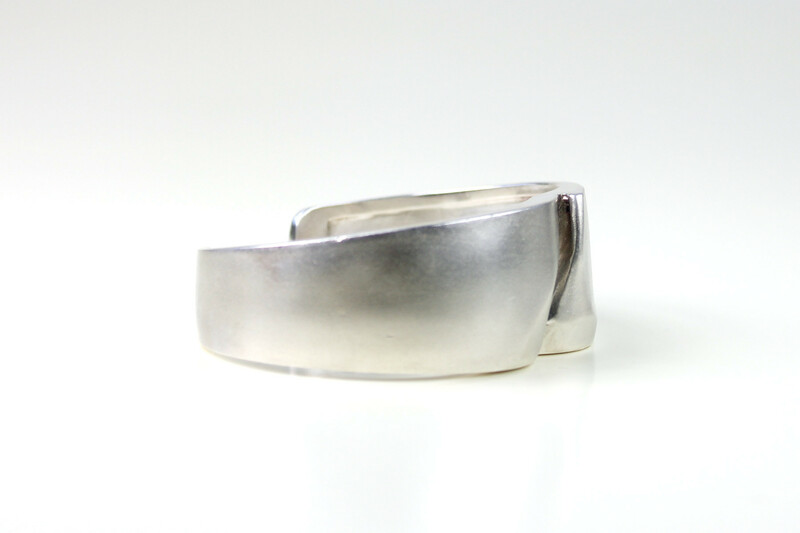 The organic shape detail feels modern, which is quite an accomplishment for an item designed in 1969! Of course this timelessness works exceptionally well for Star Wars, the bracelet doesn’t look like anything you commonly see at a jewelry store. My bracelet is the standard 17.5cm measurement – it is also available in special order 16.5cm and 18.5cm versions (though I’m not sure if these additional sizes are still available). It does require some interesting twisting around my wrist to get on, as it has just the one small opening in the band (approximately 25mm across), and no room for adjustment. 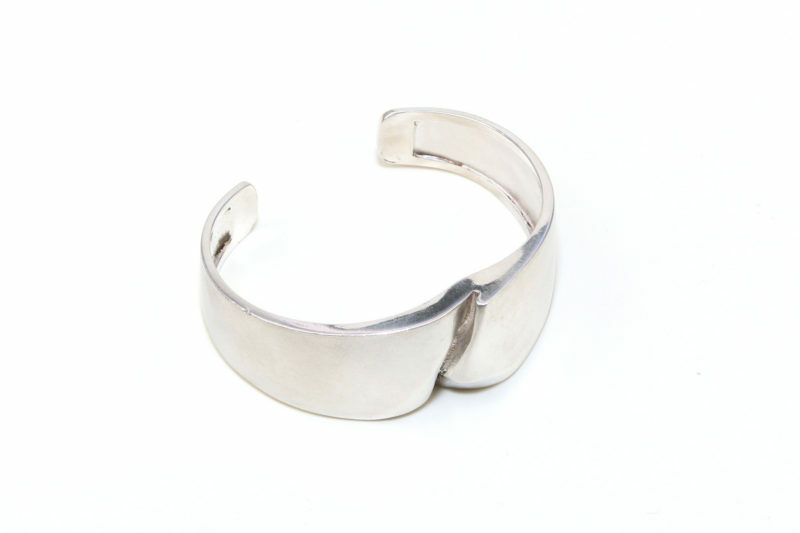 The standard size is definitely more suited for slender wrists, but once on it is comfortable and not too heavy. 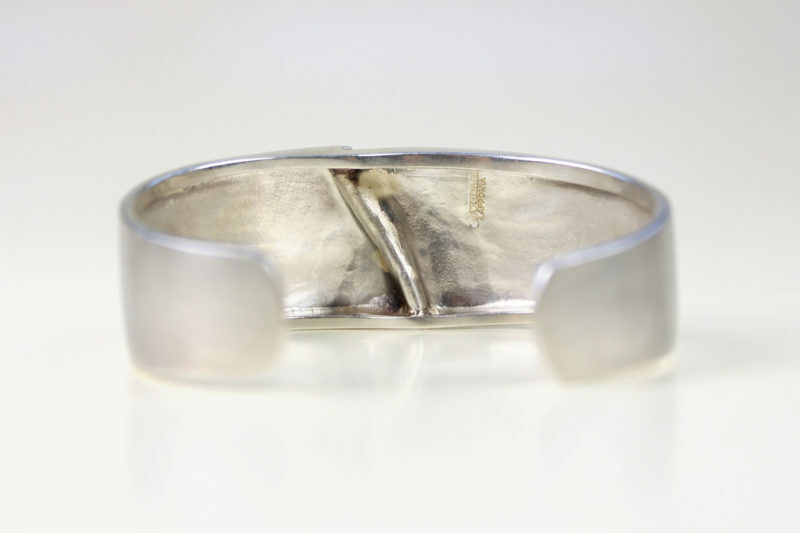 The back of the bracelet features 5 silver ‘hallmark’ stamps, which note various details like the maker and date, and the text ‘LAPPONIA’ stamped underneath. 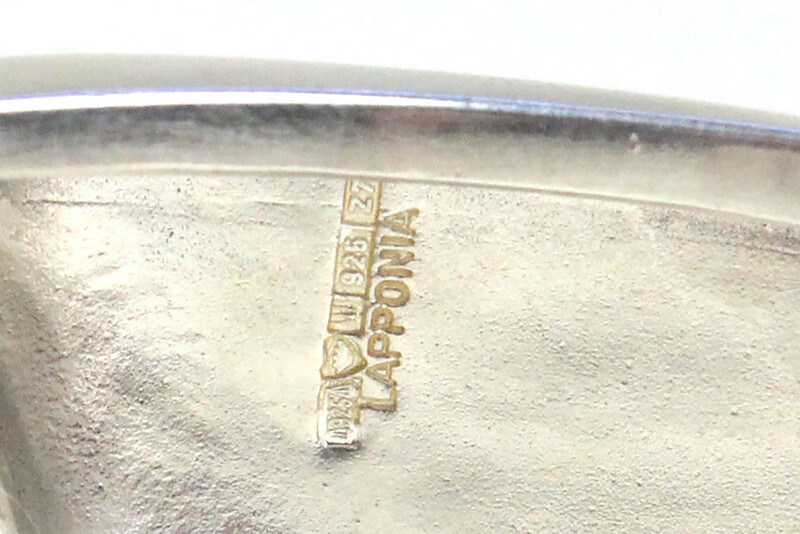 Each of the hallmarks has a specific meaning – you can read more about jewelry hallmarks on the Lapponia website. Z7 – Finland silver hallmark for the year 1977. 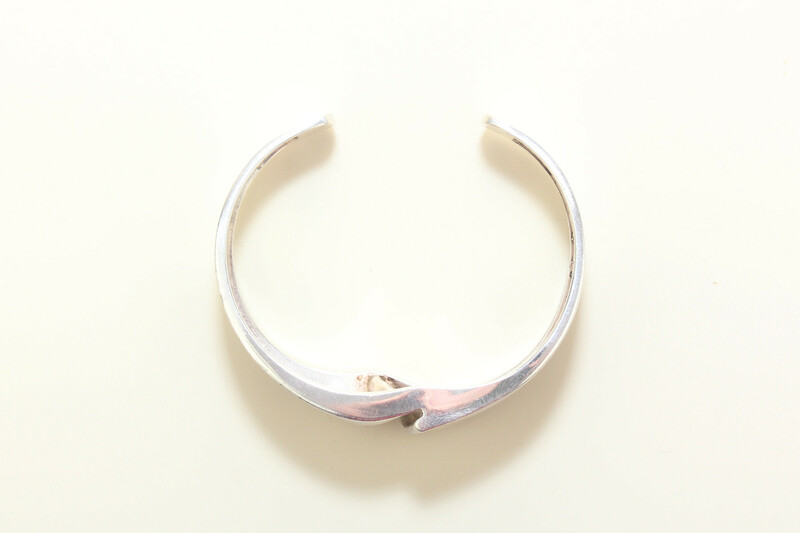 The outer front surface of the bracelet has a wonderful subtle texture, with a lovely sheen. The matte appearance works really well with the design, giving the bracelet a calm, understated elegance. 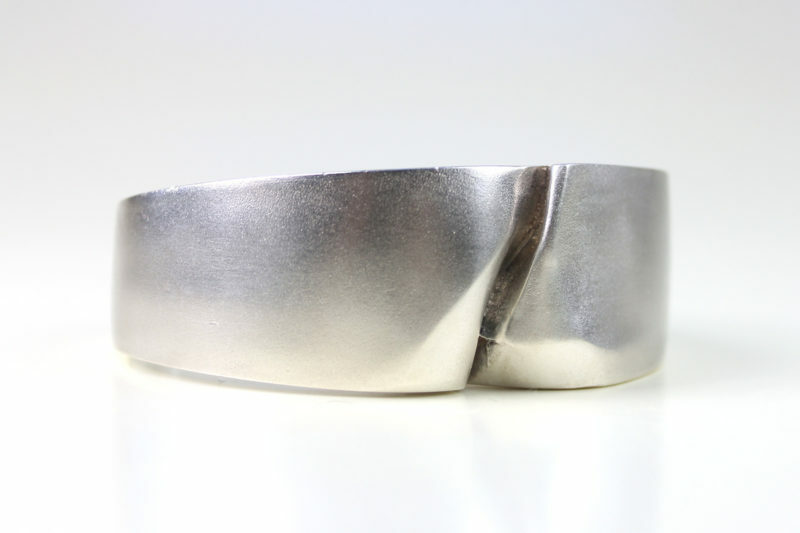 The edges/sides of the bracelet have a standard glossy finish, while the inner/underside has an interesting soft sculpted finish. As my bracelet is an original from the 1970’s, it did require cleaning, which a local jewelry store was able to do for a small fee. There are still a few small dark patches, most noticeable on the underside which is not seen when worn. As much as I would have loved to buy one new, I am very happy with the condition of my bracelet, considering its age and the price I paid for it. I absolutely love wearing this bracelet, it’s exciting to have a little bit of royal Alderaan style in my wardrobe. 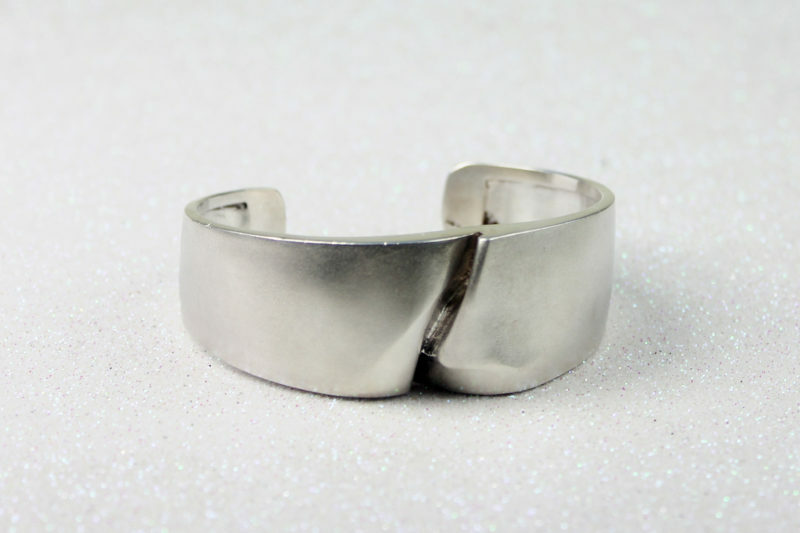 It can compliment a Princess Leia themed outfit, or add a subtle touch of Star Wars to an everyday outfit. It’s great for fans who can’t wear geek fashion at work, or don’t like to wear obvious Star Wars branded items – most people will never realise the Star Wars reference. 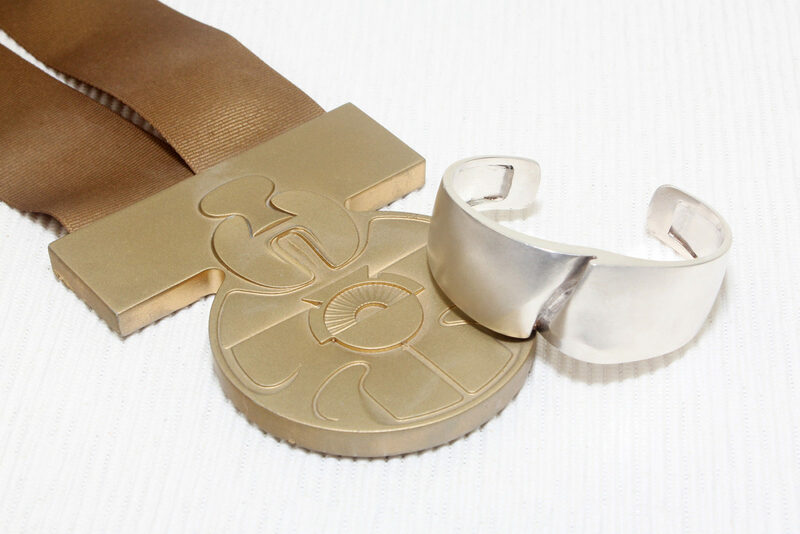 For knowledgeable Star Wars fans, the Lapponia bracelet and necklace are the ultimate in Princess Leia jewelry – I am so happy to have this bracelet in my collection. Star Wars A New Hope screenshots belong to Lucasfilm. Princess Leia and Han Solo art print by Lin Zy.